One of the primary reasons for holding trade show events is to give your sales force the opportunity to meet your clients in one place. Once clients are there, sales teams can introduce their clients to new product launches, upcoming promotions and special offers, marketing messages and so on. Long term business relationships are often developed and nurtured at trade show events and so are a valuable part of a large company’s yearly planning. 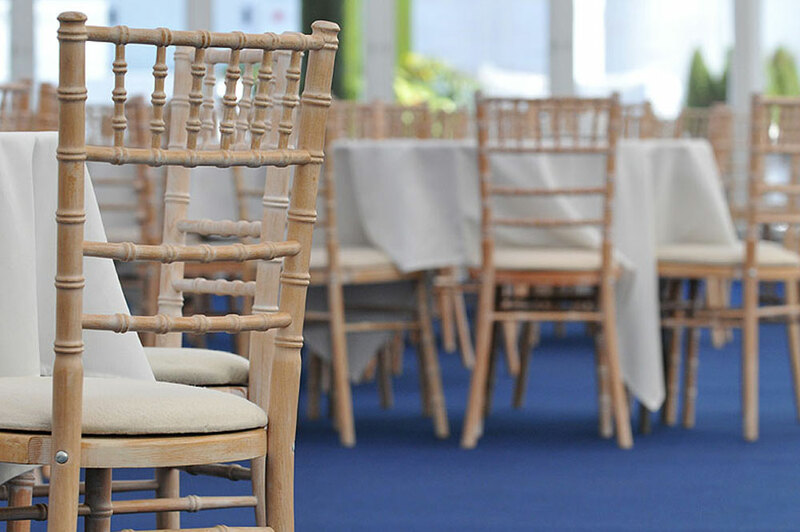 If a company is expecting key clients to arrive at their venue, it is important, therefore, to ensure that the furniture hire you choose is best quality and the right type. Have a think about what scenario and setting you want your sales team to network and talk business with clients. 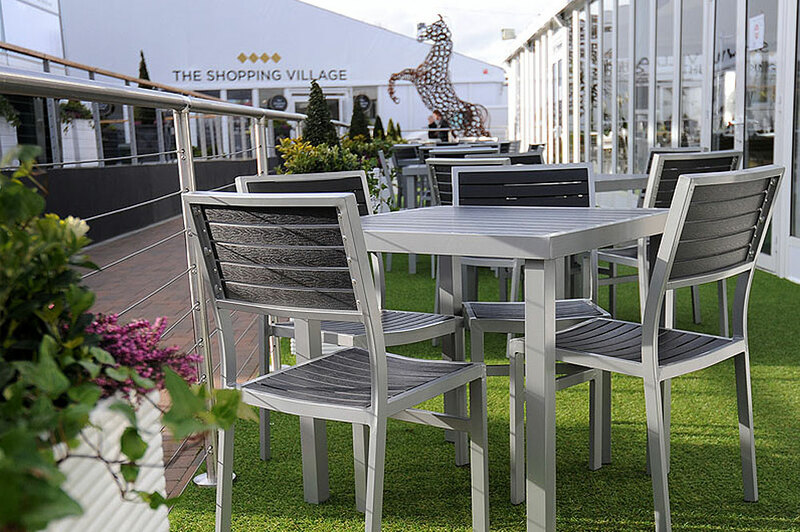 Is it over a coffee at a table with a brochure, or relaxed on a sofa with an iPad? 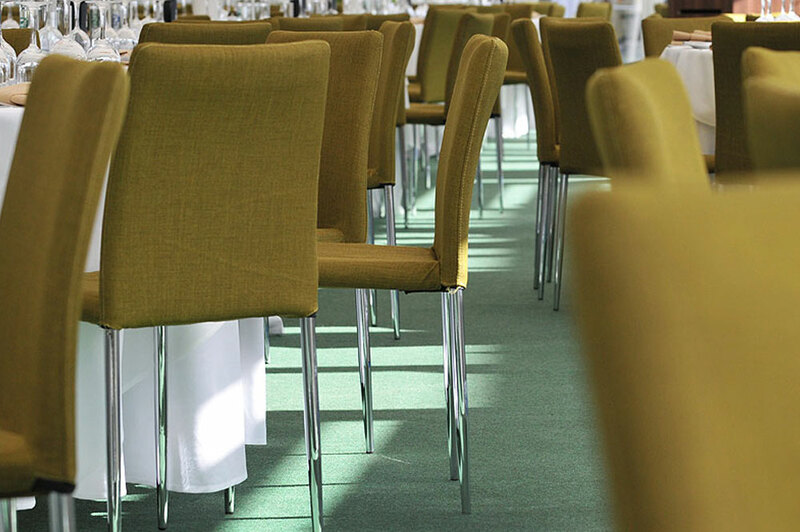 Either way, industry-leading Event Hire UK can help, offering you a range of meeting tables to hire as well as leather armchairs and sofas to hire in different materials and colours, to really ensure that your event is memorable for clients. It might be that you also need to hire office screens to ensure that offer a confidential area for private discussions with clients, as well as the possibility of glass display case hire to showcase some of your leading products. You want them to leave your event with the right impression of a successful company and you need to ensure that you get this right. 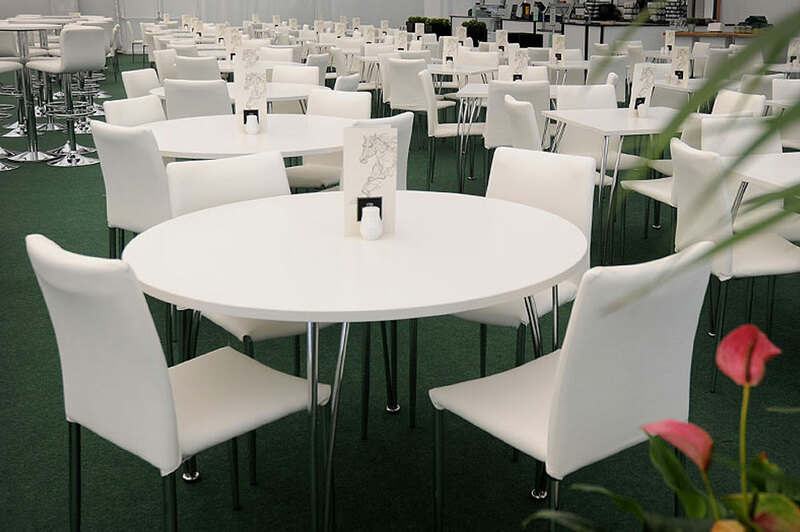 As well as the high quality furniture hire, have a think about what you will need to cater at the event. If you are planning to offer refreshments, then you will need water boilers, teapots to hire, coffee makers for hire as well as thermal insulators to hire to serve the refreshments. 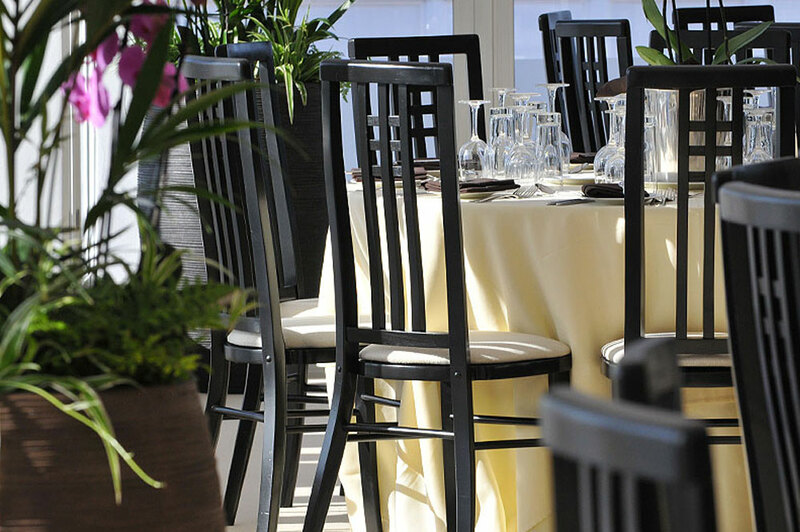 You will need crockery hire, cutlery and glasses to hire in order to serve soft drinks. You will also probably need fridges to keep the soft drinks in and maybe chill the white and rose wine. All these small additional hire equipment needs should be on your list which you can tick off as you go along. 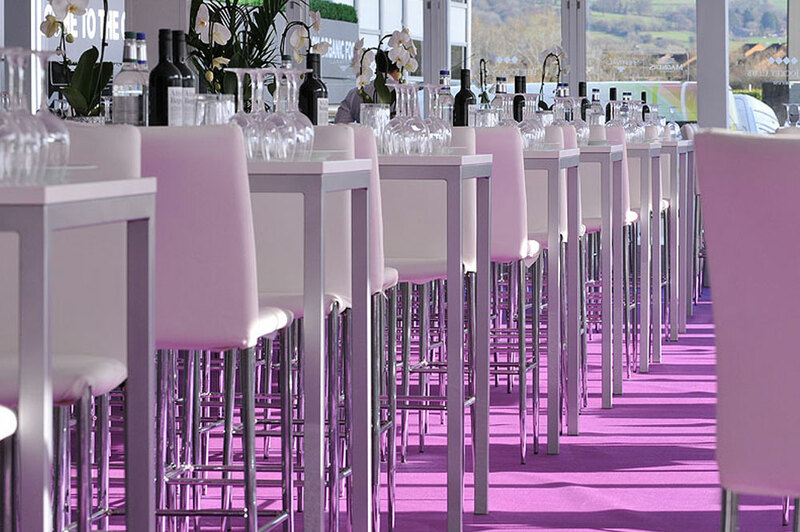 Fortunately, Event Hire UK is able to service all your trade show event needs from our well stocked depots around the country. 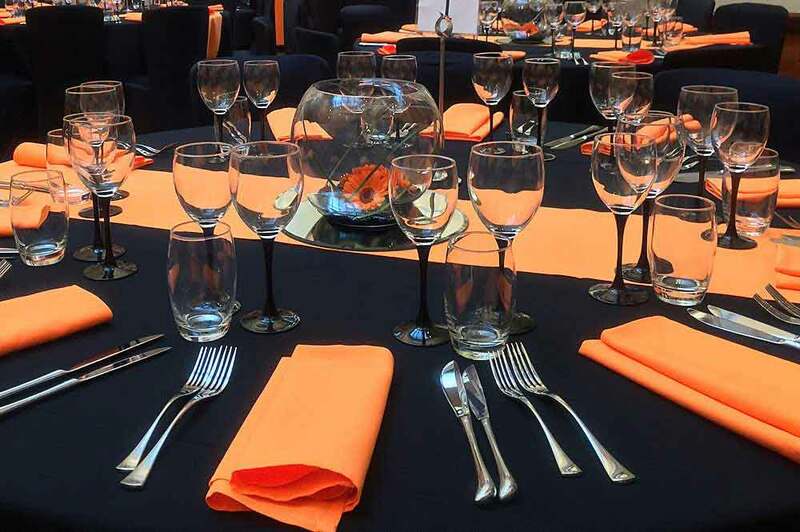 In stock, we have thousands of pieces of cutlery, crockery and glasses to hire as well as multiples of leather sofas to hire and so on, all of which you will need. 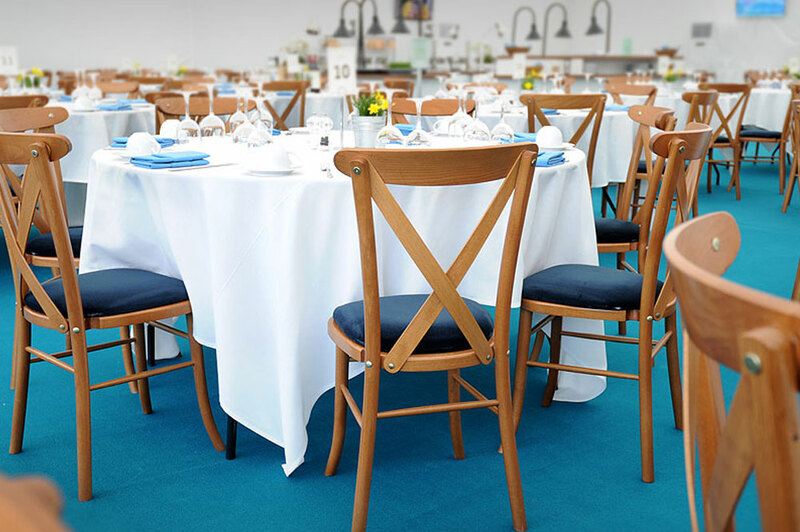 Work with one of the UK’s premier event hire specialists today and you will receive a service level that is second to none to help make your trade show event a complete success!